It’s that time of year again – one of Arizona’s must-do experiences is here! The Peach Festival at Schnepf Farms will kick off on Friday, May 11th and run through Sunday, May 13th! Schnepf Farms is the largest peach grower in the state, but they didn’t start out that way. Their first festival in 1994 was supposed to last the entire weekend, however the orchards were picked clean in just an hour and a half! They have now expanded their orchards and planted more varieties of peaches to keep up with the demand of locals and visitors alike. Take a day trip out to the farm for UPICK in the orchards, their Peachy Pancake Breakfast, fresh baked pies, and peachy cinnamon rolls. 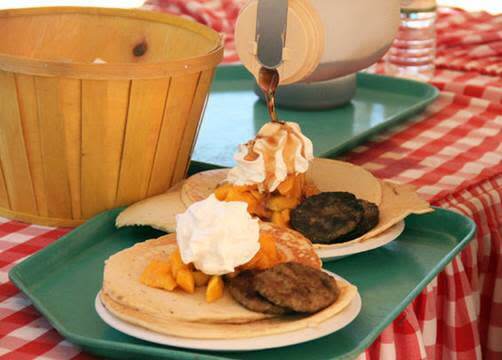 You can also enjoy their Peachy Sampling Pavilion where you can taste salsa, preserves, syrup, granola, licorice and more. Once you’ve had your fill of peaches, you can take a hay ride through the orchards, listen to live music, or have the kids hop on a carousel ride. We want to see your peachy pictures! Tag #VisitMesa and #FreshFoodieTrail on your social media posts.